Designer's Best Picks: Oh- No! It's Jell-O! ... Oh- Yeah!? Oh- No! It's Jell-O! ... Oh- Yeah!? It was almost a month ago that I posted about cups which I had found in florida, made from corn. 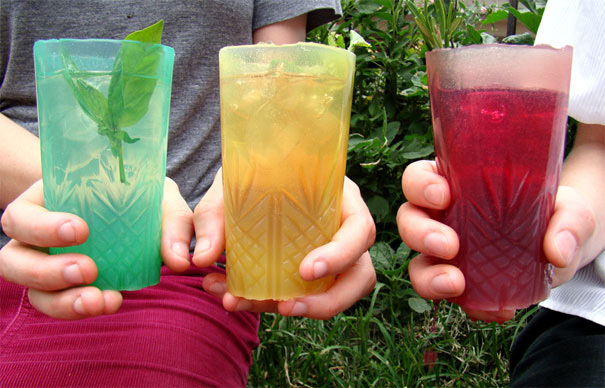 Now, I introduce the next innovation in "glassware", environmental technology! Oh-no! You guessed it! Its our beloved treat: Jell-o! Believe it or not a company named "The Way We See The World" entered a recent Jell-O mold making competition and won with their agar agar cup creation! The cup is not only healthy to consume, it smells delicious, adds an extra element of flavor to your drink and even molds to any cup holder or hand. What's even better, agar agar is a seaweed derived gelatin, making it totally biodegradable. 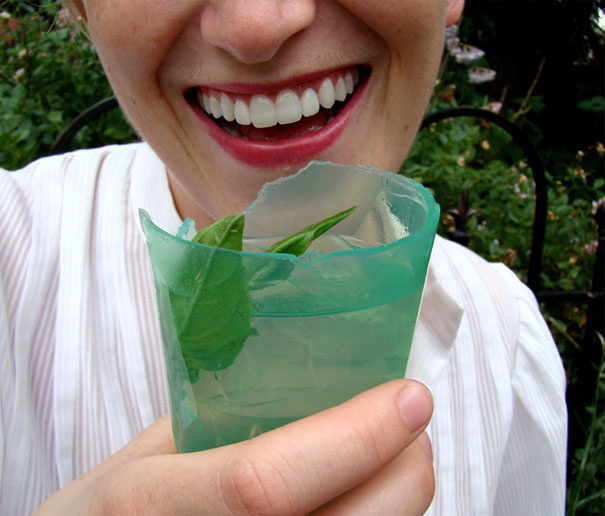 Lets make our environmental restoration process a bit easier, not to mention- more fun- by taking advantage of these aesthetically and functionally pleasing Jell-O cups!